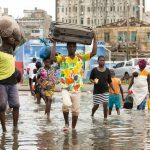 Growing frequency and intensity of extreme weather events, such as Cyclone Idai in Mozambique, are increasingly viewed as a consequence of climate change. This is true globally, but particularly for areas like southern Africa. What is the way forward from Idai’s aftermath? 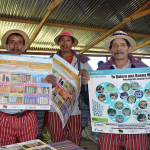 The authors use the example of the Buena Milpa agricultural development project to demonstrate how grassroots approaches to collective action, conflict prevention, and social-ecological resilience, linking local stakeholder dynamics to the broader institutional and governance context, can bear fruit amidst postconflict development challenges. 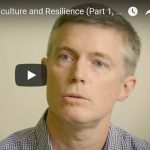 In this video, Daniel Gilligan, senior research fellow at IFPRI and leader of PIM's research flagship “Social Protection for Agriculture and Resilience”, discusses why social protection programs, such as cash transfers, food rations, school meals, and public works are now a leading strategy that governments use to help reduce poverty and help households to become more resilient. 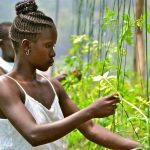 Filed Under: Communication, News, News Blog Tagged With: #F4, poverty reduction, resilience, social cash transfers, social protection, video, Why is social protection important for agriculture and resilience? 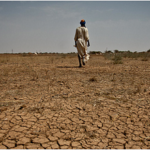 Drylands make up about 43 percent of the region’s land surface, account for about 75 percent of the area used for agriculture, and are home to about 50 percent of the population, including many poor. Involving complex interactions among many factors, vulnerability in drylands is rising, jeopardizing the livelihood for millions of people.